The teacher, Miyuki Suyari, was amazing. My daughter and I felt very welcome and comfortable in her home. 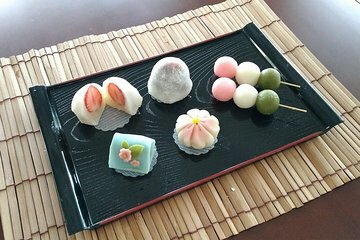 She explained everything so perfectly and provided us with advice on places in Tokyo to shop where we could purchase some of the tools for making our own wagashi when we get back home. I actually feel pretty confident that we will be able to re-create what she taught us! It was a great class, it got us into a different part of Tokyo that we probably would not have visited, and Miyuki's advice and suggestions for the rest of our time in Tokyo led us toward some cool experiences.